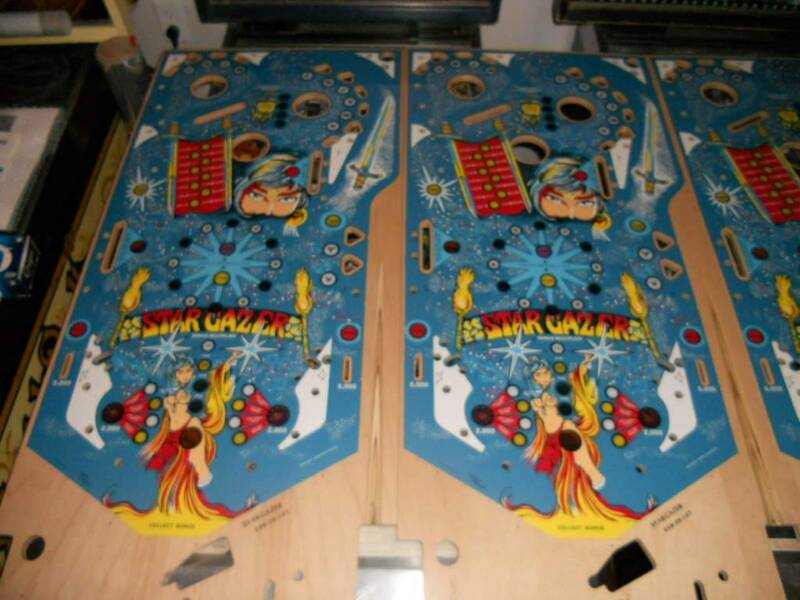 » Forum » Restoration » Restoration questions » F-14 Tomcat Reproduction Playfield??? » F-14 Tomcat Reproduction Playfield??? I read on these forums a few months ago that CPR was planning on a F-14 Tomcat playfield reproduction. I looked on their website and couldn't find anything on this, but I was wondering if anyone else knew about it. I thought I read somewhere that they can't do them because they can't get certain inserts remade? Don't quote me on that though. F-14 Playfields and plastic sets needed by many people!! Come on CPR PLEASE!! I cant believe how washed out the blues on my F14 playfield look after putting the new CPR plastics on. 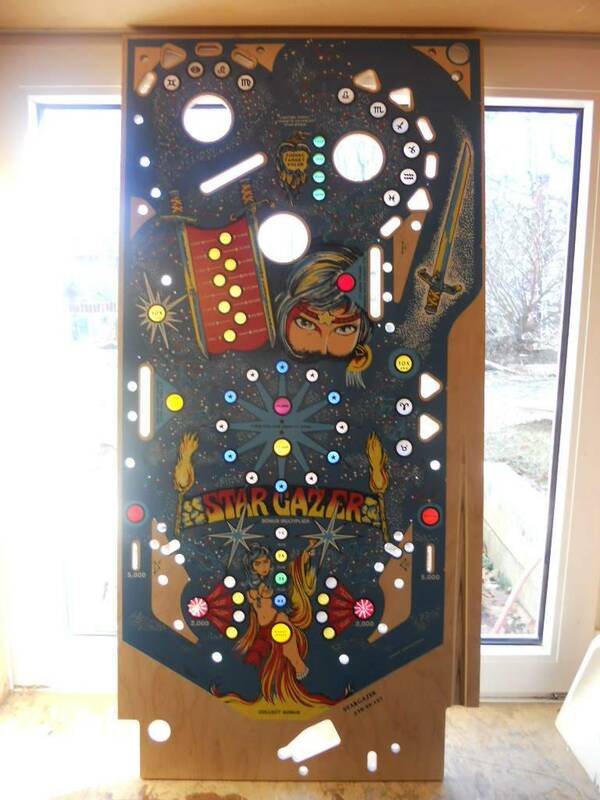 Is this playfield ever going to happen ???? Need this to happen! Old man has F-14 and I want to surprise him with one. This pf is exactly one year late! Did you try blue super bright leds? It helped mine a bunch, did the red ones also. 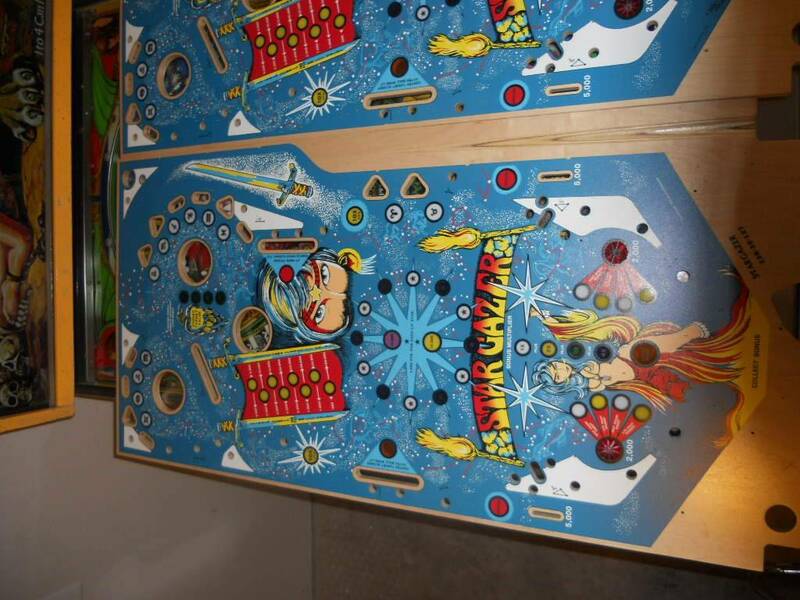 My red and blue inserts were faded badly but the colors on my playfield still look good, kind of wierd. Probably going to hold off on installing the new plastics for now due to extreme differences - put up this long with the broken piece what's another year or 2? Seems like F-14 would be a good candidate for one of those mylar overlays that PPS says they are making now. Anybody ever hear of any talk about it? 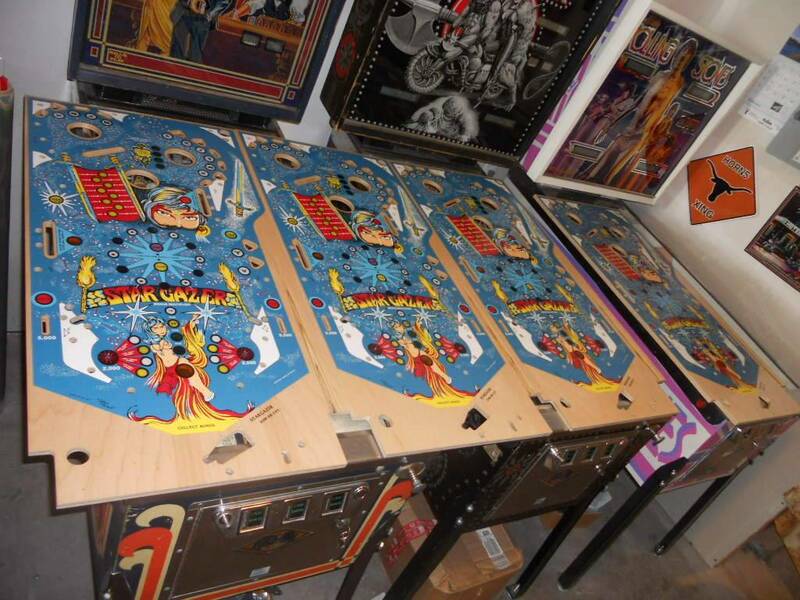 There is more than enough demand for full playfield run. I don't think our playfields have faded, I just think these plastics are darker. The blue on my NOS playfield is pretty much the same as the blue on the playfield I took out. Although the blue is different, I think they look good installed. I don't think our playfields have faded, I just think these plastics are darker. While I'm here, also need to mention that the F-14 playfield is NOT on CPR's playfield list. It may have been a long time ago, but a ton of things have changed. Stu never drew it, so we have no artwork. But I think the original films were in the IPB load. We're booked solid for years with our own titles and re-runs. So maybe another vendor or PPS can take care of it. Just wanted to wave the white flag. It's not us. It's not us. Interesting picture. 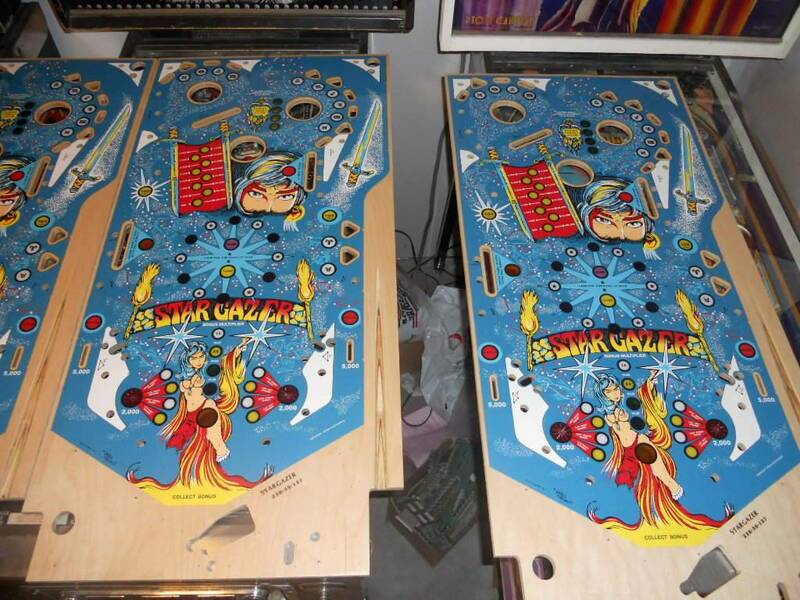 The NOS playfield I just installed (and I know it was NOS as I had to drill all the f*&^ing hole) is much nearer the lighter blue than the darker. Just goes to prove the oft mentioned point that there are a lot of variations out there. The plastics look awesome on my playfield, regardless of the colour. And backlit even more so. Pretty sure were all going to grow old and the Toronto Maple Leafs are going to win the cup before this playfield ever happens ! You never know, I don't think i'm in the running. But you never know. Like Kevin said they are booked for years. I have nothing lined up for playfield production art wise after this spring. There aren't a huge list of people making new playfields. I know that i'm probably at the bottom of the list, but having nothing coming up. Might put you in the running for consideration. Here are some pictures of new Star Gazer production, & Seawitch cutting in March. The bottom picture is one of the first 6 printed, I missed that they should of had white ink under plastics.